Mediterraneo hooks, design at your service. Elegantly designed, Mediterraneo hooks look perfect everywhere. Its shape call on use and its design calls on lust. In the bedroom, bathroom, kitchen or even at the office. Yu will want them at hand, garnishing your walls... without the need of drilling holes. They stick on the wall with stickers. The assemble is easy and success is guaranteed. Sold in sets of two. 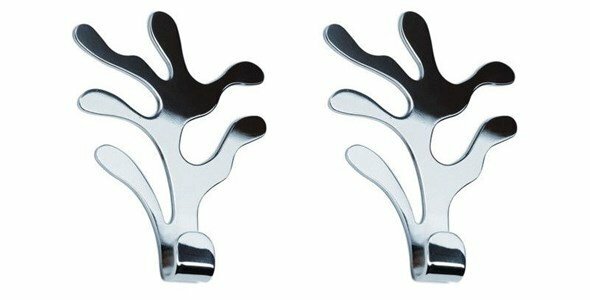 These hooks are made in 18/10 stainless steel.